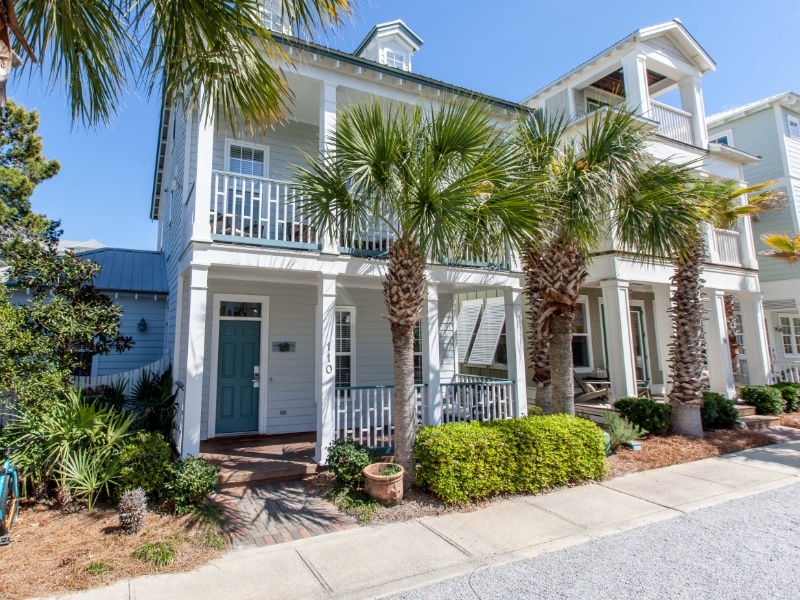 Enjoy all that Seacrest Beach has to offer when you stay at 110 Blue Crab Loop, a charming 4 bedroom, 3.5 bathroom home in the heart of Seacrest Beach. Guests will love the convenience of having Seacrest’s impressive 12,000 sq. foot community pool just a block over from the home. The Emerald Coast’s pristine white beaches and shimmering emerald waters also await you just a short stroll or tram ride away. 110 Blue Crab Loop features accommodations for 10, making it the perfect spot for a family beach getaway. When you are ready to explore the area, various shopping and dining venues can be found in neighboring Pier Park, Rosemary Beach, and Seaside.